Sleek, easy-to-use and most importantly, practical, the Dymo LetraTag® will become a household favorite well before the Christmas pudding is even on the table. The Dymo LetraTag® will be used and appreciated on a daily basis. After giving someone a Dymo LetraTag® you will quickly discover that there is no better gift than making someone's life easier! The LetraTag's® alphabetized keyboard and user-friendly menu bar can be mastered by just about anyone in a matter of minutes. A large 13 character graphical display screen guides the user through labeling options ranging from different fonts and text sizes to symbols and pictures. This year, LetraTag is also available in a QWERTY® model, which features a keyboard type interface, allowing for typing just as on a computer keyboard. There are millions of handy uses for the LetraTag for all members of the family! The list goes on - the possibilities are endless! Dymo LetraTag® comes with a role of 12mm label tape which can be easily replaced and refilled with a wide choice of colours and materials such as iron-on fabric and clear plastic. 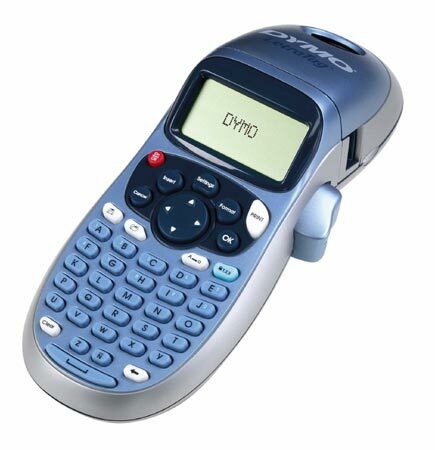 So don't be a bad Santa this Christmas, give the gift of convenience with Dymo LetraTag® and QWERTY®. For national stockists please call Sanford Brands 1800 727 537.
Review: Whether it's a gift for yourself or someone else you can't go wrong. 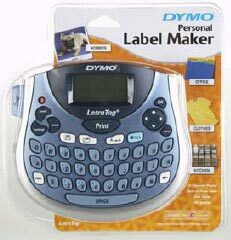 Everyone can find a use for Dymo Letra Tag Label Makers. Easy to use, reliable & handy.